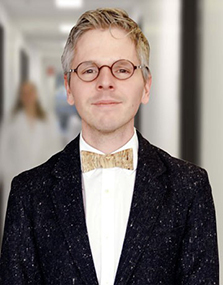 Dr. Stephen Betschel is Staff Clinical Immunologist and Allergist in the Division of Allergy and Clinical Immunology at St. Michaels Hospital and Division of Respirology at University Health Network Toronto. He is an Associate Professor of Medicine at University of Toronto where served as the Program Director of the Adult Clinical Immunology and Allergy Residency Program for over a decade. He earned his medical degree at McMaster University and completed his Residency Program in Internal Medicine and Fellowship in Clinical Immunology and Allergy at University of Toronto. Dr. Betschel’s primary clinical and research interests include adult immunodeficiencies, hereditary angioedema and occupational allergy. He has published on various aspects of diagnosis, management, quality of life, and pharmacoeconomics related to immunodeficiencies and hereditary angioedema. He is current Chair of the Canadian Hereditary Angioedema Network and serves as medical advisor for Immunodeficiency Canada, HAE Canada, and the Canadian Immunodeficiency Society. Dr. Betschel is a distinguished clinical educator. He completed the Master Teach Program at University of Toronto and is current member of the National Specialty Committee the Royal College of Canada Examination Board in Clinical Immunology and Allergy. 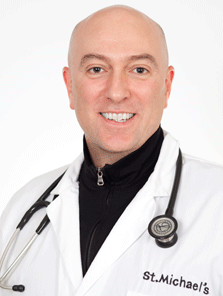 Dr. Borici-Mazi joined Queen's University, Kingston, Ontario in 2008 in the Department of Medicine and Pediatrics. She is an Associate Professor and Attending staff with Division of Allergy & Immunology. She maintains an outpatient practice with focus in the management of allergic and immunologic conditions for all ages. As an educator, she is involved in undergraduate teaching in classroom setting, as well as postgraduate training in Core Internal Medicine and Allergy & Clinical Immunology. She was recipient of Clinical Skills Teaching Award in 2011 and Clinical Teaching Award in the Role of the Consultant in 2013 in the Department of Medicine, Queen’s University. Dr. Borici-Mazi’s research interests encompass optimal diagnosis and monitoring of food allergies, anaphylaxis, and urticaria and angioedema. Clinical characterization, pathophysiologic mechanisms, diagnosis and management of angioedema in ER is the focus of her research and she published the largest Canadian study in this area. She has served in the CHAEN Laboratory Committee which focuses on rectifying the diagnosis of Hereditary Angioedema in Canada and several HAE National Advisory Boards and local CME on improving awareness and diagnosis of Hereditary Angioedema. Dr Chapdelaine is a clinical immunologist working in Montreal, QC. He is head of the Adult Clinical Immunodeficiency Clinique at the Montreal Clinical Research Institute (IRCM) and Assistant Professor at Université de Montréal. He has been involved with CHAEN since 2016. Dr. Jaques Hébert is a globally recognized leader in his field. He began his research in immunology at the Center for Medical Research at the University of Pennsylvania. In 1976, he became a research associate at Laval University and later head of the immunology and allergy clinic at CHUL. 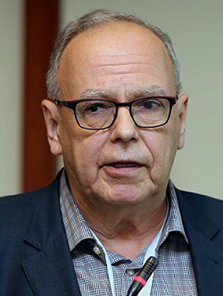 Since then, he has held a number of positions, most notably those of professor at Laval University, senior researcher and co-director of the CHUL Center for Rheumatology and Immunology Research and Director of the Center for Applied Research in Allergy of Quebec. He served on the Board of Directors of the Canadian Society of Allergy and Immunology. 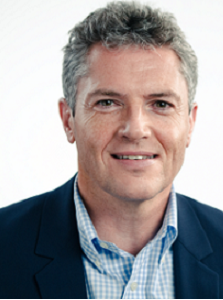 He was a member of the steering committee and president in 2003 of the Canadian Society for rare blood disorders. 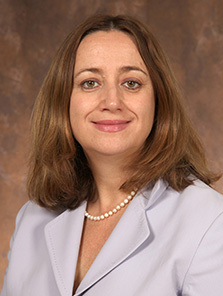 Dr. Chrystyna Kalicinsky attended the University of Manitoba where she completed her Internal Medicine residency (1998), Adult Clinical Immunology and Allergy fellowship (2000) and MD in 2005. She was in private practice in Winnipeg from 2000-2005. She is currently Assistant Professor of Adult Clinical Immunology and Allergy and Program Director Adult Clinical Immunology. She is also Medical Director of the Subcutaneous IgG replacement and C1 esterase inhibitor replacement Home Program. Dr. Amin Kanani is a Clinical Assistant Professor in Medicine at the University of British Columbia and an attending physician in the Division of Allergy and Clinical Immunology at St. Paul’s Hospital. He graduated from McGill University School of Medicine. He then did his residency in Internal Medicine at UBC and his fellowship in Clinical Immunology and Allergy at the University of Toronto. 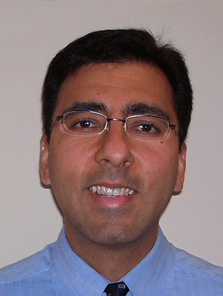 Dr. Kanani is President of the BC Society of Allergy and Immunology. He is a medical director at the Vancouver Allergy Clinic and Surrey Allergy Clinic. His areas of research and interest are hereditary angioedema, primary immunodeficiency, chronic urticaria and anaphylaxis. Dr. Keith obtained his medical degree and specialized in Internal Medicine at the University of Western Ontario. This was followed by subspecialty training in Allergy and Clinical Immunology at McMaster University. He also completed a Masters in Design, Measurement and Evaluation in the Department of Clinical Epidemiology and Biostatistics at McMaster University. Research interest and activities are focused on rhinitis, asthma, allergen immunotherapy, nasal polyposis, chronic urticaria, anaphylaxis and hereditary angioedema. He is the past President of the Canadian Society of Allergy and Clinical Immunology. Educational activities include participation in the continuing education for physicians, allied health professionals and the community, as well as involvement in the development of practice guidelines in rhinitis, anaphylaxis and hereditary angioedema. He has published over one hundred scientific abstracts and manuscripts in peer reviewed journals. 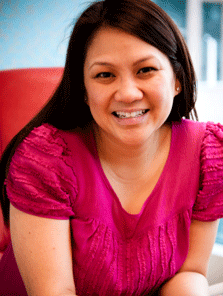 Dr. Lacuesta is an Allergist/Immunologist working in Halifax, NS. She is an Assistant Professor at the Dalhousie Faculty of Medicine. 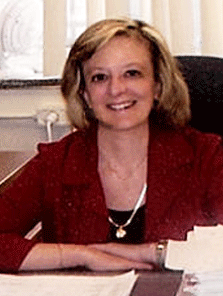 She has been involved with the Canadian HAE Guidelines since the beginning in 2003. 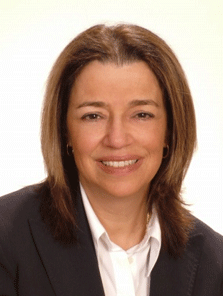 Dr. Susan Waserman obtained her MSc and medical degree from McGill University in Montreal. She specialized in Internal Medicine, followed by subspecialty training in Allergy/Clinical Immunology. She then completed a fellowship in Pulmonary Immunology at the Meakins Christie Laboratories at McGill University. She is currently a Professor of Medicine, in the Division of Allergy/Clinical Immunology at McMaster University in Hamilton. She is the Director of the Adverse Reactions Clinic at the Firestone Institute of Respiratory Health, St Joseph’s Healthcare in Hamilton, Ontario. She is extensively involved in medical education in both academic and community settings, and has an active hospital based clinical practice in adult and pediatric allergy/ immunology. Research interest and activities are focused on peanut allergy and food related anaphylaxis. She is the past President of the Ontario and Canadian Societies of Allergy and Clinical Immunology and the President of the Canadian Allergy Asthma and Immunology Foundation. Educational activities include CME for physicians, allied health professionals and the community, as well as practice guidelines in anaphylaxis, rhinitis. immunotherapy, urticaria, and hereditary angioedema.